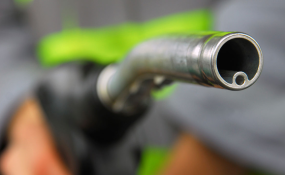 The Federal Government's tacit endorsement of the International Monetary Fund's (IMF) advice on fuel subsidy removal has already triggered far-reaching consequences, with most petroleum marketers hoarding or rationing Premium Motor Spirit (PMS). Expectedly, this has led to fuel queues appearing across the country. "We believe that removing fossil fuel subsidies is the right way to go." Lagarde affirmed. In a swift reaction to the advise, Finance Minister, Zainab Ahmed, who spoke at the sidelines of the meetings said: "The advice from the IMF on fuel subsidy removal was a good one, which will be implemented in a manner that is both successful and sustainable. We are not in a situation where we will wake up one day and just remove subsidy. We have to educate the people, we have to show Nigerians what the replacement for those subsidies will be." WHILE experts maintain that sustenance of fuel subsidy might further push the country's economy to near collapse, the Nigeria Labour Congress (NLC) insists that its stoppage could send more Nigerians into extreme poverty. While calling for a review of the subsidy regime, Iledare said: "Anytime a government has a policy, there is always a need for it to be reviewed to see whether the benefits that come from that policy are more than the cost, or they are equivalent. Let us look around. The roads are bad; hospitals are bad; schools are bad, and infrastructure not available. The most uncomforting part of it is that looking at the budget for health, education and budget for defence, they are not up to what was spent on petroleum subsidy in 2018. Is it not time for government to look at all these?" On the likely fallout of subsidy removal, he said: "Yes, there would be social unrest whenever a policy reversal takes place, but such unrest would be only for a while. Government must mount aggressive public education for the populace to see that petroleum subsidy benefits no one." On the need for an energy sector that is supportive of economic development, Iledare explained that while a sustained low oil prices may not be good for rent seeking and rent sharing, it certainly makes access to energy affordable to a large extent, at least in the short run. There is an indirect correlation between oil consumption and economic growth in countries with pragmatic petroleum policies that are geared towards the maximising of national interests rather than personal interest," he stated. President of the NLC, Ayuba Wabba while inaugurating the Local Organising Committee (LOC) for the public declaration of Nigeria's hosting of the 6thAfrican Meeting of Solidarity with Cuba in Abuja, yesterday, warned against increasing the pump price of petrol. He reminded President Muhammadu Buhari of his earlier position when he sad: "Let me tell our government that they should be wary of the International Monetary Fund (IMF) prescriptions. We observed that IMF is urging our government to remove subsidy. In the first place, is there subsidy? "That is the question we as a country have not been able to answer. Let me align myself with what President Muhammadu Buhari said sometimes ago that subsidy is corruption and who is actually subsidising who? Labour stands by that position and we have remained consistent." "There is nothing that is wrong with our refineries. It is simply a conspiracy that is preventing them from refining what we need and even exporting to neighbouring African countries. We have examples of refineries that have been upgraded around the world. Why is our case different? We are going through what we are going through because it pays the corrupt individuals in the system for Nigeria to keep importing finished products." "For countries attempting to accept IMF loans, removal of subsidy is one of the conditionalities. IMF is therefore not saying anything new. They have severally clamoured for removal of fuel subsidy by the Nigerian government. But the problem with subsidy removal in Nigeria is that it is capable of growing the poverty index as so much is attached to cost of fuel in the country because all other prices take a cue from fuel subsidy," Ajibola said. He said: "We have not been seeing this happen in Nigeria, at least at a commensurate scale. Petroleum Trust Fund (PTF) of old tried to apply the removed subsidy in this manner until it ran into operational hitches. The question therefore is that, if subsidy is removed, how will the negative impact of the removal on the poor majority of Nigeria be cushioned? "As a country, we have never succeeded in coming up with a workable template till date. This is the dilemma in Nigeria with the IMF prescription. The majority of Nigerians will bear the brunt. Another question is, how is the subsidy determined, as the cost of fuel in the global market is not a good reference. "Lastly, why can't we make our refineries to work? We need to remove this unholy alliance between local fuel price, dollar price per barrel of oil in the international oil market and foreign exchange rate." "We need to follow best practices obtainable in other countries. Paying for subsidy is no longer sustainable, so we should allow market forces to determine the prices of petrol just as we did with diesel. To the Lagos Chamber of Commerce and Industry (LCCI), it is a paradox that crude oil export remains Nigeria's biggest foreign exchange earner, yet, the biggest foreign exchange expenditure is also on the importation of petroleum products. "We need to prioritise local refining of petroleum products to ease pressure on our reserves," it added. "The LCCI is worried that the NNPC has practically assumed a monopoly status in petroleum products production and importation in the economy. It has become practically impossible for private sector petroleum products marketers to import and sell products because of the price distortions, which the involvement of the NNPC has created in the industry. PMS. It is even more disturbing that even for the products that have been deregulated such as AGO, it is impossible for private sector players to compete with NNPC because of the huge cost differential resulting from preferential exchange rate and use of crude swap for finished products importation. The situation is that of a complete crowding out of the private sector in the downstream segment of the oil and gas sector," he added. "Removal of fuel subsidy would have some downside as regards the cost of transportation and related issues. Fuel subsidy cannot be removed easily due to the ripple effect on inflation, even though government cannot continue to subsidise fuel consumption, especially in the face of rising oil prices. "Inflation is double digit already. Immediately you increase the price of petroleum products, every other thing increases. There is no clear-cut decision to it. Government needs to discuss with stakeholders on the way around it to mitigate its effects. "It has to be a gradual process. To the average man, the removal of subsidy is punishment. The people need to be carried along in the decision-making process. There is need for transparency in taking that decision. It is not clear if government will remove it. The consideration is not for government alone," he explained. NNPC's Group General Manager, Group Public Affairs Division, Ndu Ughamadu, in a statement stated that 23 depots in Lagos, seven in Port Harcourt, 11 in Warri, six in Calabar and eight in Kaduna were fully stocked with white products. When The Guardian contacted one of the operators at the Apapa depot, the operator who pleaded anonymity said: "What the NNPC is doing is that they are supplying major marketers and NNPC mega stations, while only few independent marketers are accessing the commodity. Government is rationing available resources across major stations and trying to manage the situation before it escalates." The problem, according to the marketers, has been addressed and depots are loading 24 hours and whatever supply gap there is would be closed between "today and tomorrow." "Consequently, monitoring teams have been despatched to go round filling stations in the state and ensure that no filling station hoards fuel at the detriment of the people. Any filling station caught hoarding fuel will receive heavy sanction," the statement stated. A statement signed by the Senior Special Assistant (SSA) Special Duties & Strategy to the Governor, Dr Doyin Odebowale said, "This assault on decency is coming at a time when the NNPC continues to reiterate facts on the availability of the product. Nigerians have been assured of regular supply of the product and this government has no reason to disbelieve the organisation. "It is against this backdrop that the government warns, sternly, all petrol dealers in the state, to desist from any unpatriotic acts, which may inflict pains on the people. We, on our part, will resist and sanction any untoward practice, conceived and/or executed, to engender hardship in Ondo State. "Consequently, the government directs all filling stations operating in the State to open same forthwith. Any dealer caught hoarding fuel will be arrested and prosecuted. The business premises affected shall be sealed. Any attendant caught selling petrol above the regulated pump price, under any guise, will be arrested and prosecuted. In a similar vein, law enforcement agents are enjoined to arrest any person found hawking fuel in containers of any shape," the statement said. As at yesterday afternoon, there was no call for alarm judging from The Guardian's observation, especially in Ibadan, the state capital. "There is no fuel scarcity anywhere in Ibadan. Some days ago, we heard about the impending fuel crisis, but there is nothing of such now. Though some filling stations increased their pump price a day or two ago, but the situation has now become normal. Some of them have even reduced the price to N141," said a taxi driver who plies the Iwo Road - Ojoo route. A motorcyclist corroborated this saying, "there is no fuel crisis in Ibadan for now. The price is still normal and there are no queues in fuel stations."